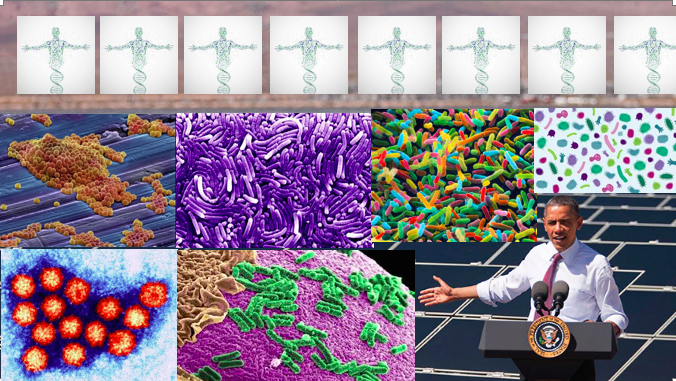 The White House OSTP is looking for input on microbiome work – plans, funding, resources, databases, fellowships, hires, and more. They are collecting this information, I assume, to help guide their new microbiome related initiative(s). I hope many many people comment including lots of people thinking about the Built Environment and its connection to microbiomes. The White House Office of Science and Technology Policy is issuing a national call to action for new commitments to microbiome research from all sectors. Scientists and engineers are teaming up to answer fundamental questions about the microbiome — the billions of microorganisms that live on and in us, our homes, our food, and our planet. Questions such as, “What is a healthy microbiome?” and “How can we manage microbiomes to keep them resilient?” are applicable to microbiomes in habitats as diverse as oceans, soil, and the human body. The basic principles common to all microbiomes are more likely to emerge from interdisciplinary teams that draw on a variety of expertise rather than a single scientist with knowledge of only one field. How microorganisms assemble to form a newborn baby’s microbiome may be fundamentally similar to how microorganisms assemble on a budding cherry blossom, for example, and how an ocean microbiome responds to a disturbance such as an oil spill may shed light on how the human gut microbiome responds to Thanksgiving dinner. Moreover, the same tools may help researchers understand processes in a wide variety of systems. To make progress in understanding microbiomes, scientists need interdisciplinary research, new methods, technologies, and standards to foster groundbreaking discoveries about microbiomes. Meeting these needs will require funding for basic and applied research that spans diverse areas, as well as the implementation of systematic mechanisms to provide opportunities for cross-fertilization of ideas, and for collaborations for solving experimental challenges and answering complex questions. To achieve a new degree of insight into microbiomes across the Earth’s habitats, the White House Office of Science and Technology Policy (OSTP) is seeking input from all who care about and work in this area of research. In particular, we are interested in any new or expanded work, in the public and private sectors, that you or your organization may be undertaking in the near to long-term. The development of interdisciplinary centers that support projects tackling fundamental, cross-cutting questions and themes related to microbiome science. The development of platform technologies, reference libraries, and databases useful for microbiome research in all habitats. Grants, fellowships, internships, and cluster hires that promote interdisciplinary microbiome work among faculty and students. If you or your organization would like to connect with us about future efforts that you are planning to further the field of microbiome research, please use this web form to tell us about your work by February 22, 2016. Jo Handelsman is Associate Director for Science at the White House Office of Science and Technology Policy. Elizabeth R. Stulberg is Senior Policy Advisor for Food and Life Sciences at the White House Office of Science and Technology Policy. My professional and scientific interests are in determining microbiomes of food and using this information to populate large databases, which might or might not be public, to use in research that focuses on reducing food losses from spoilage during agricultural production and processing. Ultimately this information could lead to defining the role that hitherto uncharacterised species of microorganisms have on our food supply from farm to fork and then consumption. Its application to actual food safety issues is still in its infancy. The field of food genomics will require considerable funding to establish basic methods that are applicable to the huge variety of sample types represented by our food supply. It is heartening and exciting that our White House OSTP is taking this on as a priority! My interest in the microbiome relates to understanding their role in gastrointestinal diseases and cancer, particularly colorectal cancer. Our studies have the potential to identify microbial signatures or their products that could be useful in identifying people at risk, or for prevention and treatment. We are also interested in the microbiome and its influence on response to chemotherapy. Many studies have reported changes in microbial profiles in association with various diseases. However, these studies do not show causality. There is a need for funding for mechanistic studies in animal models to assess causality. It is exciting that the White House OSTP is taking an interest in the microbiome. I think in theory this is a great idea but my experience with the company has been horrific. They need to address the fact that some people don’t want to share their bacterial information. It’s unethical to make the task of the entire Daunting and almost impossible should you decide to opt out of sharIng. It’s been two months since my prepaid sample was sent in and again I’m at a juncture in which I am unable to get my data because I’ve opted not to sign their optional release form. A simple test has taken me hours of frustrated online navigation twelve emails and again I’m blocked out of the information I’ve pd for. The company might be doing a service, but the I question their ethics. what company are you referring to? So just so you know. This blog post had nothing really to do with uBiome. The post is about the White House calling for comments on the whole field of microbiome studies – that is – studies of any microbial community anywhere – not just those associated w/ humans. I think in theory this is a great idea but my experience with the company has been horrific. They need to address the fact that some people don’t want to share their bacterial information. It’s unethical to make the task of the entire process Daunting and almost impossible should you decide to opt out of sharing your data. It’s been two months since my prepaid sample was sent in and again I’m at a juncture in which I am unable to get my data because I’ve opted not to sign their optional release form. Ive been consistently blocked from moving forward-looking always at the form with no way to move forward. A simple test has taken me hours of frustrated online navigation twelve emails and again I’m blocked out of the information I’ve pd for. The company might be doing a service, but the I question their ethics. â€¢	Active groups studying the microbiome-host relationships and associations with nutrition, disease progression and mitigation, antimicrobial resistance among other areas of interest. Bridging the divide between collaborators is a major hurdle that we think funding should be directed towards, especially strengthening quantitative approaches for life sciences issues. Also of major interest to us is providing funding to help initiate new collaborations to integrate faculty with different areas of expertise in this rapidly expanding area of research. This is in addition to increased funding to support modeling and computation to allow for predictive studies that can identify the causal link between microbiomes and risk to disease for both human and animal diseases and plant health. @phylogenomics just submitted! Thanks again for sharing!